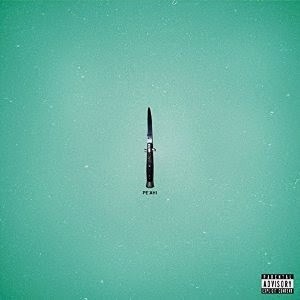 Taking an album title from a surfing slot in Hawaii, The Raveonettes return with album number 7, Pe'ahi. Stuart Ralston leaves his Slow Readers Club cds alone for a while to have a listen. Giving a record a title with a surfing reference might seem an obvious nod to The Beach Boys. In Pe'ahi, Raveonettes duo of Sune and Sharin continue to respect them in much the same way as Jesus and Mary Chain do. Not only that, but the influence of Phil Spector is clear too. Lead single "Endless Sleeper" is a solid opener which sets the standard for the album. A powerful pop record much in the same vein as the excellent debut LP from Coves, which we love here at Even The Stars. "Killer In The Streets" could be taken from Honey's Dead era Mary Chain before launching into the funky "Wake Me Up". "Wake Me Up" sounds like the perfect tune for a movie soundtrack. "I never want to see you again" chants Sharin Foo on "A Hell Below" which is a surprisingly upbeat song despite its title. "Kill!" wouldn't sound out of place on a Primal Scream album. With a pounding drum beat and the "never going to see you again" refrain from Foo, this is one of the album's standout tracks. "When The Night Is Almost Done" is shorn of their trademark wall of sound, instead relying on subtle percussion and provides a sharp contrast to some of the tunes on the LP. In addition, it shows a softer, sweeter side to Foo's voice. 2014 has produced some fine garage LPs from duos like The Vacant Lots (Departures) and the aforementioned Coves (Soft Friday). Pe'ahi can be added to that list and is a perfect late night album. The Raveonettes' official site can be found here. They are also on Facebook and Twitter and the album is streaming with commentary by the band on Spotify.